It was a pleasure working with DPCI both professionally and personally. Joe Bachana and Scott Dunn (of Flux) were knowledgeable, courteous to our needs, and thorough with the installation, implementation, and training for our team. Joe Bachana analyzed our structure and implemented excellent workflows for our publications. On the procurement side, Tracy Gardner provided us with a complete listing of products and services that met our team requirements—she did not overindulge on requirements. She explained all possibilities and was patient in our company’s long process for procuring services. Pre-K4: The writer writes (that’s me! ), the editor edits, the designer designs, and the spaces between each of these steps are vast with inevitable stumbles and falls. Post-K4: In the shared space that K4 provides, we actually can talk to each other! I love how K4 enables me to “see” my story unfold on the page, as I write it. And I appreciate how it provides an easily accessed platform for collaboration between writers, editors and designers, which ultimately creates a much more efficient, much better publication. K4 allows the writers to know if their copy is running long as it highlights overset copy. This helps cut down a bit of production back and forth to address the overset. K4 also allows copy to be easily routed to other writers or edits as questions arise and to annotate the question in the history of the article. This helps everyone see what is happening and what happened, etc. From a design standpoint, I can easily check on the progress of copy input as well as see what the layout is looking like as the copy is input. We can also work outside of the office or check in on the documents at any time or place that has a secure internet connection. This is helpful for helping with deadlines and when writers travel. The interface is seamless within InDesign and works like any other design process we are used to. DPCI did a great job documenting the project and managing a diverse group of stakeholders. They helpfully incorporated user experience design from the beginning, using wireframes as a visual guide for us to discuss requirements with the client and surface their hidden expectations for how an eCommerce site should function. Ultimately, DPCI architected a very complex multi-site store with some of the most advanced merchandising features I've seen in any Drupal Commerce project. 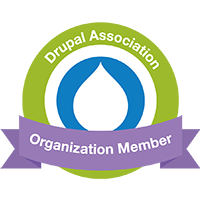 My team was able to deliver some key improvements to Drupal Commerce alongside them through this project, and we were excited to see it go live and perform well at scale. McCall’s existing ecommerce sites were unable to keep up with the demands of our business or the needs of our customers. We could not offer the promotions or sales we needed to grow our business and, because our sites were not responsive, we were losing more and more smart phone and tablet customers each year. We turned to DPCI to help. Custom Drupal themes with a responsive design allowed us to maintain the identity of our four separate brands while a single backend meant that our web team did not have quadruple the work. We have since added our wall décor line to our family of ecommerce sites and we are happy to continue our partnership with DPCI with plans to leverage their work to markets beyond the US. McCall recognized that a digital edition of Vogue Patterns magazine would provide an opportunity to increase and retain our subscriber base but our staff had no experience in this area. DPCI offered a number of solutions that fit our existing workflow. DPCI prototyped and rolled out an iOS version of our magazine and worked with our team to integrate this into our editorial and production processes. With DPCI’s help, we hope to expand this into the Android platform by the end of 2015. We have come to rely on DPCI’s judgment and expertise. They have become a valuable resource and an important extension of our team. Working with DPCI to simplify our production workflow has not only saved our editors countless hours of work. It has been a critical step in future-proofing the magazine's content formats for new digital products. The DPCI team was very patient with me as I was learning. Anton clearly answered my questions and helped me as I struggled through until things “clicked.” The information he gave me helped me clearly understand the key DPS features in InDesign. Overall I am very satisfied with the degree of training I received from DPCI. Their timely support and guidance on troubleshooting questions and issues as they arose was immaculate and highly professional. The majority of New York Cares business is done through its website, and DPCI helped us meet the needs of many different stakeholder groups while modernizing and enhancing our ability to manage user-facing marketing content. DPCI also provided swift response, training, and consultation on our rapidly changing requirements, allowing us to better mobilize volunteers to meet the most pressing needs of the community. The DPCI team has worked well with our technology-challenged staff for nearly ten years. Joozer Tohfafarosh and his team have provided much-needed expertise and are willing to be flexible based on our budget, schedule and operational needs. What a great learning experience! DPCI held our hand throughout the entire process, consulted on and researched any specific issues we had, customized the training and consultation to fit our particular needs, and were always available to us when we needed their help. DPCI has been great to work with. The training and service they provide is top-notch. Customer support is amazing, they get back to you quick and get your questions answered. Natasha Davis, our DPCI support representative, is always patient. She has guided us with confidence and ease through all the the things that seem complicated to us. Overall it has been a real pleasure working with the people at DPCI! DPCI's domain expertise, guidance and professionalism helped us to meet our Website redesign goals. The MPA now has an online presence that reflects the vitality of the magazine media industry while providing an improved user experience for access to industry research, news, events and more. As a result of the terrific work conducted by DPCI staff on our analysis project, we will be looking to them to assist us with future initiatives.